Since MTN Nigeria bought the supposedly broadcast frequency; 700Mhz, from the National Broadcasting Commission (NBC) which was said to be lying fallow when payment of N34b was made, there has been some levels of disquiet in the industry on the use. Explaining more during a recent media chat, the Executive Vice Chairman of the Nigerian Communications Commission (NCC), Prof Umar Danbatta noted that though MTN paid for the frequency to use it for broadcast in its licenced Pay TV segment, “NCC requested through the Minister and got the approval for MTN to use same for broadband deployment and the National Frequency Management Council (NFMC) has given the required approval for the change of purpose”. On the other hand, there is a subsisting agreement that Globacom should enjoy access to the choice frequency. The above scenario therefore places both MTN and Globacom at vantage position in access to the 700Mhz leaving other players including Airtel and troubled 9mobile out of the game. Though industry analysts had argued that in the management of such choice frequency, there is need for level playing ground, in a recent interview with the newly re-elected president of Association of telecoms Company of Nigeria (ATCON), Engineer Olusola Teniola, he averred that “There is never a perfect scenario in life; I believe that the NFMC alongside NBC and NCC will need to look at compensation, concession and then finally incentive to those who thought that they were not fairly treated under whatever process that may have led to where we are at the moment”. Explaining more, he noted that “MTN has the largest network in Nigeria, in terms of infrastructure. They have spent over 16 billion dollars since they arrived in Nigeria over the period since they got their license. There are several ways to roll out broadband services, now remember, broadband services as defined by the National Broadband Plan (NBP): the services of high internet speed is least 1.5 megabits per second download speed that is the destination as we know”. “At the moment in the industry, because of various factors, and especially because of the limitations of spectra, it is very difficult for a progressive roll out and deployment of broadband at that speed across the nation. “When MTN was able to acquire 2.6 Gigahertz two years ago, they wanted to only give them four slots and so others didn’t want to participate because they claimed that the price was not right. “So MTN, by that very move had the opportunity to roll out high speed broadband on a 2.6 Gigahertz spectrum that it won. Now, prior to them acquiring 2.6 gigahertz, they have already approached NBC and have paid significant amount, I think 34 billion Naira and they have made full payment. “MTN also tried out 700 megahertz on what I call MTN pay TV, they launched as a trial. Now this 700 megahertz as you know and as you pointed earlier is defined as the preferred spectrum for broadband deployment, especially because of its good proposition property, which means that it is not only used in the urban areas, but also in the rural areas. “The twin advantage has put MTN on ample choices; they can use 2.6 gigahertz in the high density areas and combine it with 700 megahertz. Again, remember that Globacom also has access to 700 megahertz, which was given to them on the basis that it will just be used for trial period. Teniola posited that there is an issue here; “We have two of the large operators (MTN and Globacom) that have access to 700 megahertz, we now don’t have the same for Airtel and 9 mobile. So, in the case of 9 mobile, they have to re-farm their spectrum. So did Airtel recently, they did some re-farming and launched 4G in Ibadan and obviously in Lagos now. What you have is that Airtel has been seeking NSNC approval to also allow it to be given an option to access 700 megahertz. On what will happen to other telecoms operator who are equally in need of the choice spectrum, ATCON President averred that “From fair view point and I don’t speak on behalf of the NFMC and so I wouldn’t want to put words in their mouth that there should really be an open and transparent auctioning of the 700 megahertz for all parties to actually bid in a manner that is actually transparent, but it is what it is, I can’t really add any more to that than to say that it is unfortunate, but it is reality. “Both MTN and Globacom have access now to 700 megahertz and two others have to wait until NFMC is able to provide it to them. According to him, “There is a new window of secondary spectrum market, I don’t know if the remaining two that don’t have access may have access through that market. “The secondary spectrum trading that you called spectrum trading is open to every operator, but as you know in the industry, certain spectrum is favoured for certain deployment of technology, so what we are trying to avoid is the situation where an operator has access to spectrum across Nigeria or maybe in regional areas of Nigeria and for one reason or the other isn’t able to deploy using the spectrums across the whole country and for instance you may have some places that are only able to have a business case to run services in Abuja, Lagos and Port-Harcourt but may have spectrums in the remaining states. 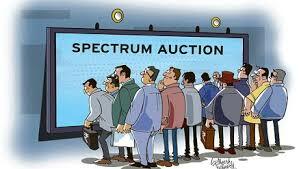 “So you know what happens now is that the spectrum remains idle, so there is an opportunity now for other operators if they have a business module or a business case that suggests that they can now use and run services in the states outside Abuja, Lagos and Port-Harcourt and if that is the case, they don’t need to approach NBC and wait for an auctioning process because they can now go to the secondary trading market but obviously you know that there are guidelines and so it is not just open to anyone who might use it for speculation. In his further submission, Teniola argued that “The general understanding there is that there is still an issue that will crop up in future when NBC finally concludes Digital Switch over (DSO) and release the dividend”.